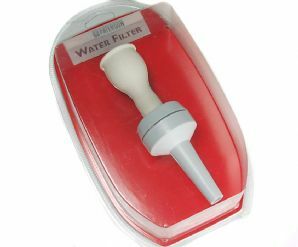 The Paterson Water Filter can be connected "in-line" and connects directly to most taps (if in doubt please contact us). The 20 micron filter removes most water borne grit that can damage film during processing, especially if a squeegee is used. The unit is easily unscrewed and opened up for cleaning and the filter can be reversed for this purpose.